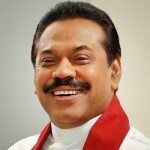 It is now 19 months since a new president was elected and the prime ministership was handed over to the UNP. The whole nation is in a situation of uncertainty. Chaos reigns in the administration and financial management of the country. Even in institutions like the Treasury where dissent has been unheard of, officials have declined to perform certain functions. There is dissent in revenue collecting agencies such as the Customs and the Inland Revenue Department. Unrest is brewing in the Labour Department. Earlier we saw paddy cultivators and farmers taking to the streets. Professional groups were demonstrating at Lipton Circus. The business community organised hartals in towns across the country. In the midst of all this the government has postponed the local government elections indefinitely. Having postponed elections, the government has been engaged in an effort to show that they still have public support by transporting people to political meetings so as to claim that they too have crowds just like the Joint Opposition. This is the first time that I have seen a government competing with the opposition in this manner. The way I assessed public sentiment was by holding elections. But the present government is trying to avoid holding elections at any cost. Recently when the Supreme Court took up a petition against the postponement of elections, eleven interventient petitioners emerged from nowhere to make representations as to why the local government elections should be postponed. We have been hearing only complaints from this government. They say they have no way of holding the local government elections. They say the economy is in a state of crisis and that they have reluctantly had to impose various burdens on the people and they say that I am to blame for all the difficulties they have had to face. Leaders of this government have been asking me through the media why I held the presidential election early. They have been trying to convince the people that I called an early election because I was aware that the country would be facing an unprecedented economic crisis by 2015 and that I wanted to consolidate myself in power before the crisis came out into the open. They have been trying to conceal their incompetence by repeating such claims at every opportunity they get. The yahapalana leaders say it was not my astrologer who persuaded me to call an early election but Dr P.B. Jayasundera my treasury secretary. I am quite amused by such stories. Some of the top leaders of this government were cabinet ministers in my government. An impending economic crisis is not something that can be concealed especially from those wielding power at cabinet level. If somebody was sitting in the cabinet and running a key ministry and still was unaware of the economic situation in the country, how can such a person run the country? I held the 2015 presidential election early for the same reasons that every other president has called early elections. President J.R. Jayewardene held an election more than a year early in 1982. President Chandrika Kumaratunga held the 1999 presidential election one year early and I too held the 2010 presidential election early. Even though the yahapalana leaders claim that an economic crisis was imminent at the time the 2015 presidential election was held, the exact opposite was true in fact. By the end of 2014, we were in the middle of an unprecedented economic boom. The economy had grown at an average of over 7% for five years, the value of the rupee had been held steady in the Rs. 127-130 range for more than three years, our foreign reserves at 8,200 million USD was the highest in post independence history. In 2005 when I assumed office foreign reserves were just 2,200 million USD. During my tenure, there was a large inflow of foreign investment. In 2014 alone, investments amounting to 1,700 million USD came into the country. Unemployment averaging at around 4.3% in the last five years of my administration was the lowest ever recorded. The level of indebtedness of a country is measured as a percentage of the GDP. When Ranil Wickremesinghe was the Prime Minister in 2004, indebtedness stood at 102%. But by the end of 2014, we had managed to reduce this to 70%. That was the lowest level of indebtedness since 1979. While achieving such discipline, we initiated a very successful development program in the country. I was able to allocate sufficient funds to win the war that was thought to be unwinnable. I was able to ensure the territorial integrity of the country, to develop the economy and also to provide the people with many welfare measures all at the same time. Yet at the same time we kept reducing the level of indebtedness of the country year by year. Many analysts have described this as an economic miracle. To say that this country was facing a debt crisis by the end of 2014 is a barefaced lie. We did take loans to build infrastructure but these were carefully phased out so that repayments could be made without difficulty. In the six years from 2009 to 2014 our foreign and local debt payments every year could be carried out without any difficulty. During my tenure as president did anybody hear us complaining that we didn’t have money to repay our debts, build infrastructure, fight the war, carry out welfare work or pay state sector employees? We faced the world’s worst recession in eight decades in 2008. All over the world, banks collapsed. Oil prices skyrocketed during our tenure in office, and there was a global food crisis in 2007. Even in the midst of such crises, the reason why we could do all that we did was because of our superior economic management. In fact Sri Lanka came in for praise by the IMF in 2014 for maintaining ‘solid’ growth, and for our ‘resilience’ even in turbulent global market conditions. When the IMF gave Sri Lanka a loan of 2,900 million USD in 2009 in the wake of the world economic recession, they did not impose any conditions on Sri Lanka that would have caused hardship to the people. But when the yahapalana government obtained a loan of 1.5 billion USD from the IMF in June this year, they had to fulfill certain strict preconditions to obtain the first tranche of the IMF loan. The international lending agencies saw the reckless manner in which the yahapalana government destabilised the economy in a matter of weeks and months which is why they imposed strict conditions on Sri Lanka. All the economic problems of the yahapalana government are due to the fact that they bribed voters with salary increases and price reductions in order to win the 2015 August parliamentary elections. They thought only of winning the elections, not about how they would manage the country after winning. This election related largesse set off a chain reaction which began with the loss of control over government expenditure, and an increase in the budget deficit. The level of indebtedness which had been going down began rising again. By the end of 2015, the debt to GDP ratio had gone up to 76%. Even though our level of indebtedness rose, everyone knows that no development took place in the country. The money thrown around to win the election resulted in an increase in imports. Seeing the recklessness of the new government, foreign investors began withdrawing their money and leaving Sri Lanka. Very little new investment came. All this gave rise to balance of payments difficulties. This in turn caused the depreciation of the rupee and necessitated the use of foreign reserves to shore up the currency, thus depleting our reserves. As the government borrowed more to meet increased expenditure, and also due to the bond scam which the Prime Minister is trying to sweep under the carpet, interest rates rose by about sixty percent and the government ended up having to pay more interest on the loans already taken thus increasing the government debt burden. This is why we find ourselves in an economic crisis today. Even though this government claims that they have won over the whole world, no foreign investment is coming in. The yahapalanites called China an economic predator. Yet now they are going to China on their bended knees. Now they are praising the Port City, Hambantota port and airport. The only worthwhile investment taking place even now are the infrastructure projects that my government initiated. In the meantime this government has been borrowing heavily to meet increased government expenditure. Every time I address the public in this manner the level of foreign loans taken has increased so I have to keep updating the figures. The yahapalana government borrowed 2,300 million USD from India, 3,600 million USD through sovereign bond issues, 3,100 million USD through Sri Lanka Development Bond issues and 1,500 million USD from the IMF, bringing the total foreign borrowings to 10,500 million USD in just eighteen months. Experts predict that our debt to GDP ratio will increase to 82% by the end of this year. It was only 70% when I left office. The government is now in a debt trap of their own making. Now the government is trying to increase taxes on the people to repay the money they borrowed since coming into power. They have given an undertaking to the IMF that they would do so. However when they try to implement these pledges given to the lending agencies, the business community, the ordinary public and the trade unions rise up in revolt. However the proposal to increase VAT has not yet been shelved. Cabinet has now approved a new VAT Bill to be submitted to parliament. We have to remain vigilant. People are turning more and more towards the Joint Opposition as the government fails to perform and deliver on its pledges. The part of the SLFP that is in the government will not be able to escape blame for the failings and the misdeeds of the government they serve in. Trying to portray themselves as anti-UNP while serving with the UNP in the same government, will not deceive the people any more. When the so called national unity government celebrated their first anniversary in Matara, the present leader of the SLFP said he will try to continue this marriage between the UNP and a part of the SLFP beyond 2020. However at the 65th anniversary celebrations of the SLFP held in Kurunegala the SLFP leader said that an SLFP government will be formed in 2020. But when he attended the UNP’s 70th anniversary meeting the SLFP leader said that these two parties can continue on this journey together. It’s not surprising that UNP supporters cheered heartily when the present leader of the SLFP who took the prime ministership away from the SLFP led UPFA which had more than 150 seats in parliament and gave it to the UNP which had only 46 seats, arrived at the UNP’s 70th anniversary ceremony. We in the Joint Opposition are opposed to this hybrid government. We have no journey to make clinging on to the tail of the elephant. Many people have asked me whether a new political party is going to be formed to contest the next election. A political party is only a legal framework. The most important factor is that there is a political formation opposing the government. The main challenge facing the Joint Opposition at this stage is to have the indefinitely postponed local government election held. This matter is now before the Supreme Court and we are awaiting the outcome of that process. In the meantime, we wish to impress upon the government the need to immediately hold the local government elections which have already been postponed by more than one year. Text of a speech delivered by former President Mahinda Rajapaksa at the Battaramulla office of the Joint Opposition on 15 September 2016.